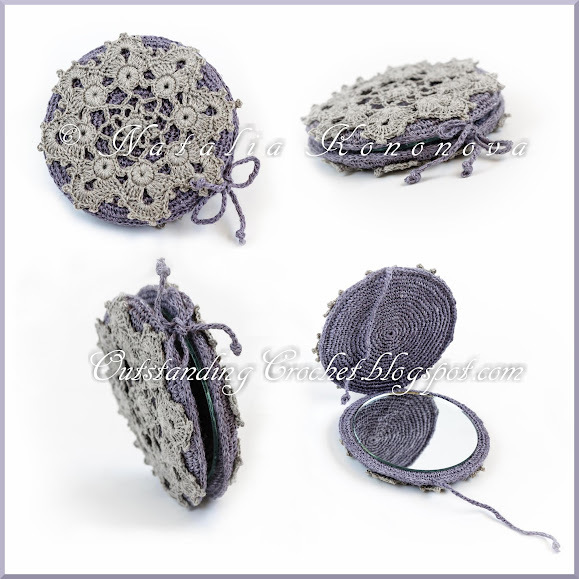 Outstanding Crochet: Crochet case purse mirror "Gerda". Crochet case purse mirror "Gerda". I finished this "easy/intermediate" level pattern yesterday. It called "Gerda" because it reminds me of the tale Snow Gueen by Hans Christian Andersen. Again, it has step-by-step pictures with written instructions and charts. Goes to my folder until my work permit papers are ready. delizioso, very vintage crochet ! Ooo :-) I love it. Will you share the pattern?